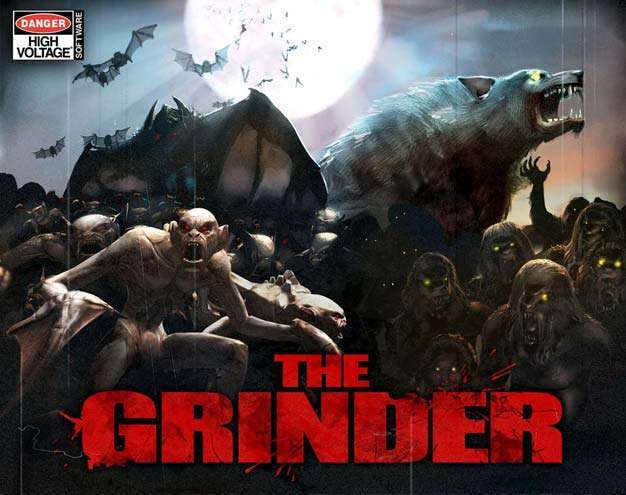 The Grinder is the next game from High Voltage Software, the makers of the Conduit and several WiiWare games. The game is set in an alternate reality where vampires, werewolves, and zombies exist on Earth, and people have learned to deal with them. The game supports up to 4 players online, and is believed to offer an alternative to Left 4 Dead for Wii owners. So why are we bringing this game up on PlayStation LifeStyle? You’ll see after the jump. Our secret is out! Grinder is no longer a Wii exclusive. We plan to ship on Xbox 360, Sony PS3, and PC as well. When asked about further details about the PS3 and Xbox versions of the game, Kerry said it would have to wait until GDC. As of now, the game is scheduled to release around Halloween of 2011, so gamers will have to wait quite a while before the game is released. Until then, enjoy this brand new teaser trailer to commemorate the announcement of the game’s migration to PS3.